Actress Song Hye-kyo and Seo Kyung-duk, a professor at Sungshin Women’s University, recently endowed a memorial for independence activist Yun Bong-gil in Shanghai. “I will continue to endow more Korean information plaques with Song Hye-kyo, and will later promote these Korean historical sites with audio and app services,” said Seo. Yun was a Korean activist who set off a bomb that killed several Japanese dignitaries in Shanghai on Dec 19, 1932. The memorial was a tribute to the act of patriotism and heroism that Yun demonstrated when Korea was colonized by the Japanese. The information plaques were built in the Maejung memorial hall in Hongkou Park in Shanghai, China where the bomb incident occurred. 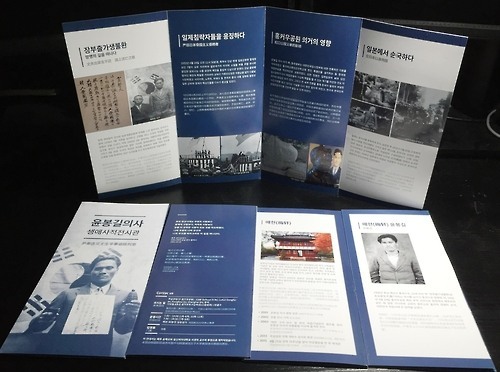 Pamphlets and other memorabilia are also available.